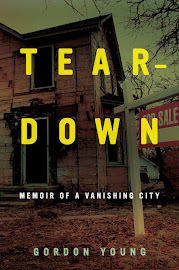 Mr. Young ; I've read reviews & excerpts of "Teardown". I grew up in Flint & heard lots of stories about the old days from my relatives in the Buckingham, Davison, Cumings families. Let me know if you'd like to email about what I've heard about the old days in Flint.